We’re BossAlien, part of the NaturalMotion family and our mission is to bring AAA console visuals and deep, compelling gameplay to mobile platforms. As a key member of our team, you will have the opportunity to collaborate with a diverse team of experienced developers and utilize leading-edge technology and content pipelines. In 2018, NaturalMotion Studios were named one of the Best Places to Work in the UK games industry by gamesindustry.biz. As a key member of our UI team, you will have the opportunity to collaborate with a diverse team of experienced developers and utilize leading-edge technology and content pipelines.As a Principal UI/UX Artist, you will be responsible for the interface design, and the implementation of the network of screens /menu graphics, to ensure a positive and intuitive player experience as possible.You will conceptualize and design industry leading graphics, while working as part of a dedicated games team to provide high quality implementation of the User Interface. Work with the Art Director to guide the visual style and language for all game interfaces. Experience of user interface design for video games. Solid graphic design and illustration skills. 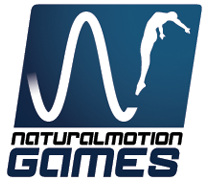 This job is advertised on behalf of NaturalMotion using their internal reference .